Paranoid 7.2.0 Release 2 (AOSPA) is now being rolled out with support for more Android devices and added features. The first few smartphones to receive the same include OnePlus One, OnePlus X, Nexus 6, Xiaomi Mi5, Nextbit Robin, LeEco Le Pro3. This also includes the previous list for Paranoid Android 7.1.2 with phones like Google Pixel (XL), Nexus 6P, Nexus 5X, OnePlus 3, and OnePlus 3T. Oneplus 5 is still left out because the device is still new and the development has not yet started. Moreover, the developer has also shown promised builds for OnePlus 2 and Nexus 5 as well. Paranoid Android 2017 – Release 2 (7.2.0) is based on 7.1.2 Nougat and some back-ported changes from Android O preview. It consists of improvements to the color engine, Bluetooth and network connectivity optimizations, bug fixes. The best part about Paranoid Android is that it brings different optimizations exclusive to each Android phone. Whereas, for the Lineage OS 14.1, the sources are same for every Android phone. You can see the AOSPA full changelog from below. What’s new with Paranoid Paranoid Android 2017 – Release 2 (7.2.0)? Collaboration with the Shuttle+ player which will help you Google Cast to your TV, Embed lyrics, Batch creation of playlists, Themes, and much more. Upcoming support includes OnePlus 2,Nexus 5 (Hammerhead), Sony Xperia line of devices like Xperia Z3 Compact and the Xperia X. Check out the full changelog from here. How to Install Paranoid Android 2017 – Release 2 (7.2.0) build? At the time of writing, the AOSP site was down. Hence, we were not able to update the download link at this moment. We will update it soon. 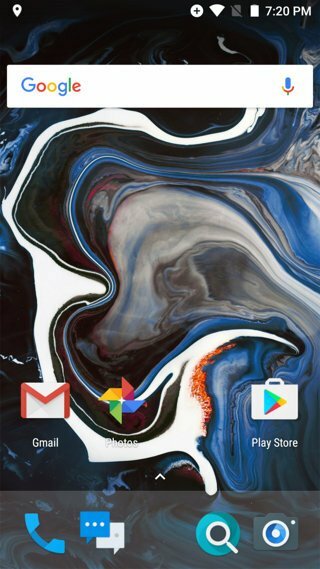 You may also like Paranoid Android 2017 stock wallpapers. Make sure your Android device has an unlocked bootloader. Make sure your device is rooted with TWRP recovery installed. (Optional) You may want to flash the AOSPA recommended TWRP from here. Download and transfer the latest AOSPA firmware build from above to your phone storage. You may also root via, latest SuperSU, or the Magisk Manager. 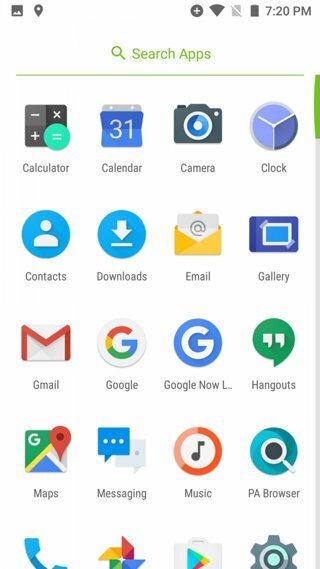 Download latest Gapps for 7.1.2 Nougat. Transfer all the files onto into phone storage. Reboot phone into TWRP recovery. Take a full Nandroid backup of existing ROM. Wipe the current partitions (system/data) except for the internal storage. Tap on Install and flash the AOSPA ROM. Similarly, flash Gapps and SuperSU/Magisk. That is it. Enjoy your latest Paranoid Android 7.2.0 ROM and leave a comment below.